The Vapor-Clean allows you to be ready for the MH-susceptible patient in 90 seconds - without lengthy flushing. Besides having them in the workroom, the Vapor-Clean should be placed on every MH cart in case of an emergency. The Vapor-Clean provides enhanced safety for your MH-susceptible patients. Bring your protocol up to date! The Vapor-Clean is the new standard for preparing anesthesia machines for MH-susceptible patients. No MH cart or protocol is up-to-date without the Vapor-Clean. 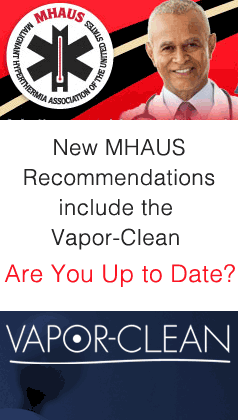 The Vapor-Clean is used in preventative measures as well as MH-crisis usage. Vapor-Clean filters can be used on any make and any model of anesthsia machine. Do Activated Charcoal Filters With Pediatric Ventilator Settings Produce Clean Anesthesia Machines? Newer anesthesia gas machines contain plastic and elastomeric components that absorb volatile anesthetics and then release residual vapor during subsequent anesthetic procedures. The anesthesia gas machine requires high flows and a lengthy time period to remove most of the vapor before the machine can be used for a patient that cannot tolerate breathing trace amounts of volatile anesthetic vapor. The Vapor-Clean filters absorb the trace amounts of isoflurane, sevoflurane and desflurane so that anesthetic vapors do not reach the patient. 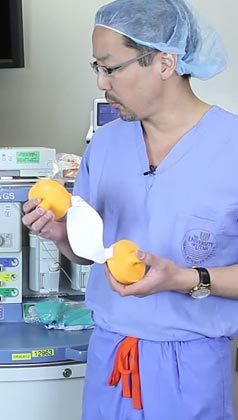 Placement of the Vapor-Clean filter canisters on the anesthesia machine allows the machine to be vapor-free (less than 5 parts per million of vapor) within 90 seconds. New orange color! 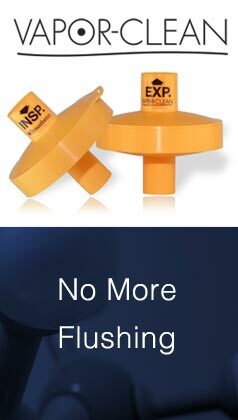 The same Vapor-Clean that you trust for all of your MH-susceptible patients has a new orange color. This color should be more visible in the OR and will remind you to remove and dispose after use. Ready to update your MH cart? The Vapor-Clean is easy to use, inexpensive and a low-usage item. When you are ready to add the extra patient safety measures and conveniences afforded by the Vapor-Clean, give us a call.